How can art education change the world? A debate on art education has been going on for ages. During the ancient Roman and Greek eras, the Renaissance, and even the 19th century when society was entering the initial stage of modern society, artistic and creative thinking were already considered as important forces that promote social progress and cultural development. Art education in different historical periods also features different ideas and functions. In ancient Greek and Roman times, art education was used to guide and regulate craftsmen; in medieval times, art education existed in the form of mystical teachings authorized by God; during the Renaissance, humanity essentially defeated divinity, and artists began to develop an independent self-consciousness; in the 17th and 18th centuries, specialized art education was developed under the patron of imperial powers. 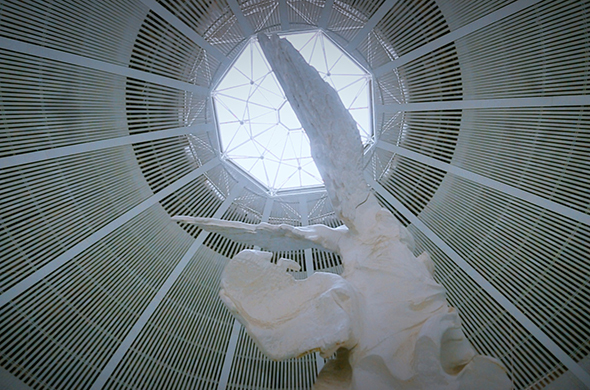 The evolution of art education is also reflected in some critical points in Chinese history. There is no doubt that art is both a manifestation of social prosperity and an important force for driving the advancement of society as a whole. In addition, art education has an intimate connection with social change. For example, the development of art education in the United Kingdom corresponds with the industrial revolution. During the rapid development of the First Industrial Revolution, art education also came into being. Afterwards, the subsequent industrial revolutions brought about significant changes to art education. The differing characteristics of society in different eras have also influenced the purpose and function of art education. For instance, the early development of art education in the United States was aimed at facilitating the competition between British and French products in the European market. Therefore, enhancing the ability to paint vividly and skillfully was the focus of art education in the United States during that period. The teaching methods at the time were characterized by repetitively and mechanically memorizing and imitating others’ works. Students were required to copy printed works and their teachers’ works in order to familiarize themselves with the rules of perspective. Since the First Industrial Revolution, changes in art education have been made possible through different factors, such as the development of science and technology, social and economic interest, the political purpose of a country, the new development in learning theories, and changes in educational concepts. 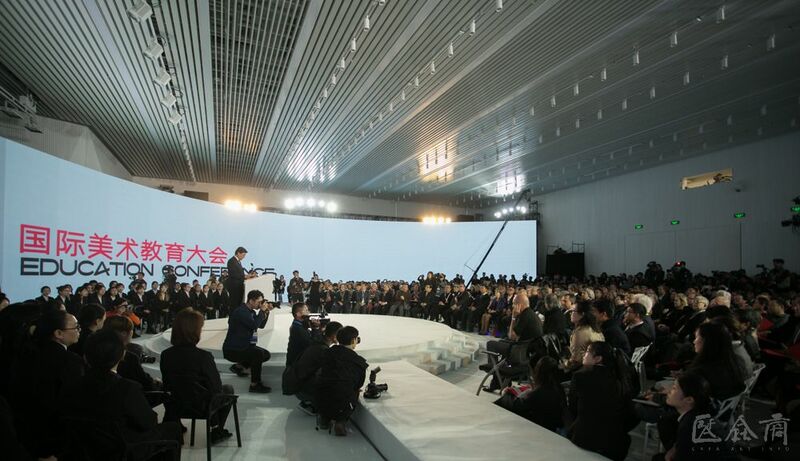 Today, China is entering a new era of rapid development. The nation’s multi-polarization, economic globalization, social informatization and cultural diversity have become critical features of the international community globally. New ideas, inventions and technologies are emerging, changing our way of life and communication, and pushing us to develop new insights into the world. Fine arts, or more broadly, art as a whole, are products of creativity, and able to convey people’s ideas and visions. People think of art as a sacred cause, as well as the embodiment of spirituality and culture, given its ability to break away from secular pursuits. At the same time, art also influences our daily life and has become a unique form of social productivity. Particularly, innovative thinking has become a driving force which promotes social progress. Is art education able to change the world? In what way does it change the world? The world is constantly changing; art is developing; education is transforming. 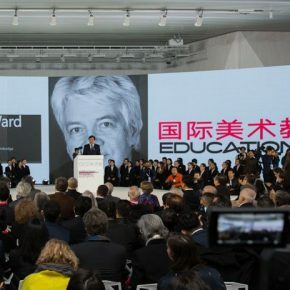 How can art education play a role in this dynamic and rapidly shifting situation, and particularly, in this new era of global and cultural integration? 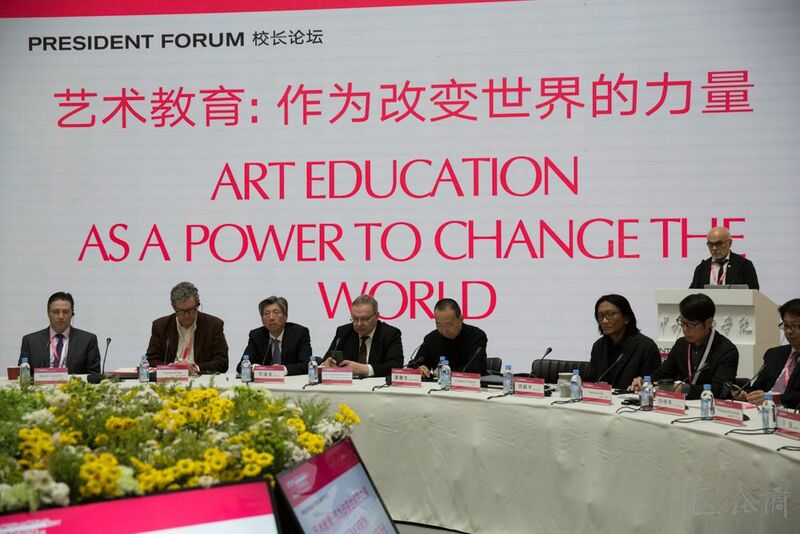 What are the challenges and opportunities facing the future of art education? 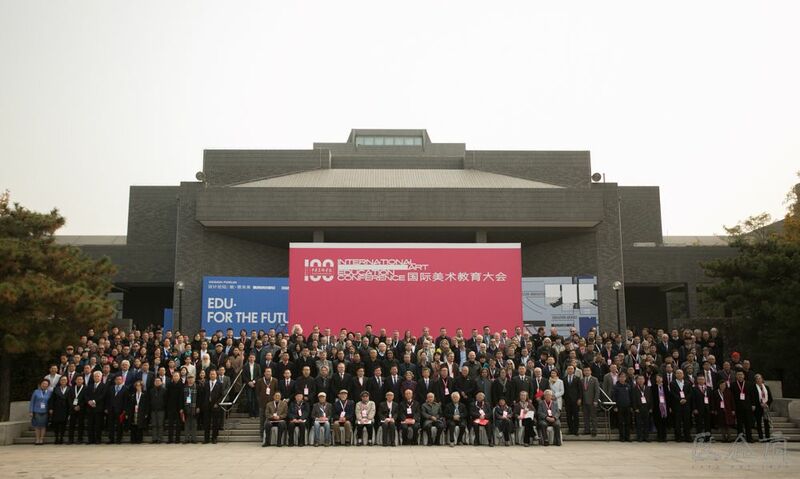 Recently, the “International Fine Arts Education Conference” was held in Beijing. 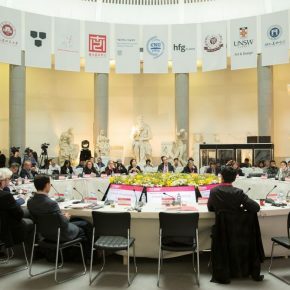 Nearly 300 people, including deans, agency representatives, experts and professionals, from 114 fine art colleges and institutions in more than 30 countries and regions, gathered at the China Central Academy of Fine Arts. 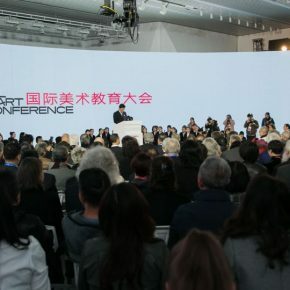 With the theme of “art education in the new era”, the conference was aimed at exploring answers to the above questions. 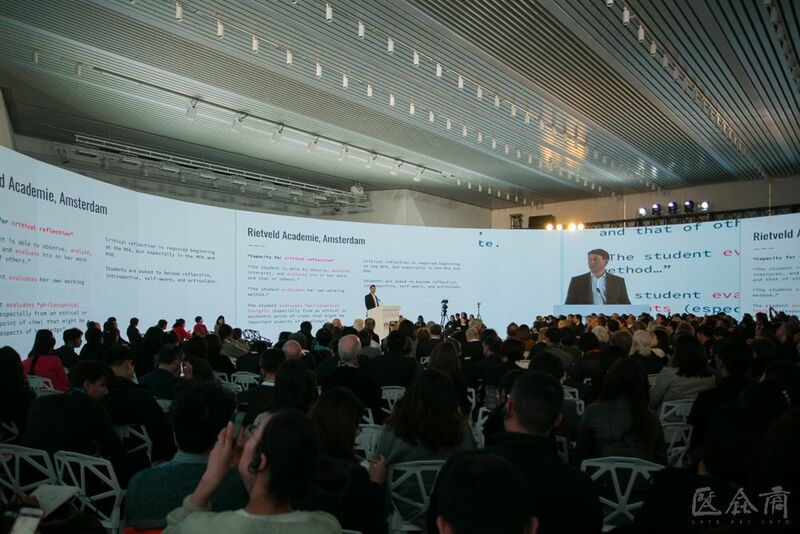 Fan Di’an, President of the Central Academy of Fine Arts, spoke at the conference about the current opportunities and challenges: First, Chinese society is now considered to be in an era of comprehensive development. Recent social and economic development has created a new demand for both the quantity and quality of fine arts talent. The content of fine arts curriculum and the mode of talent training needs to be updated. Second, the rapid advancement of science and technology and the emergence of the information age have changed the strategies for knowledge production and acquisition. Teachers and students are no longer engaged in a simple relationship of just teaching and absorbing the knowledge that is taught. Instead, teaching and learning have become two independent subjects. This apparent “inter-subjectivity” is the core of an effective education. Therefore, the focus should shift from the knowledge itself to those who are acquiring the knowledge. Third, the trend of cultural integration is irreversible. Art is the embodiment of culture. The sensitivity, intuition and directness of visual arts reflects the characteristics of the times. Only by being inclusive can fine arts empower original thinking and stimulate creative imagination. For this reason, we should embrace a broader, more global perspective when discussing fine art and art education today. 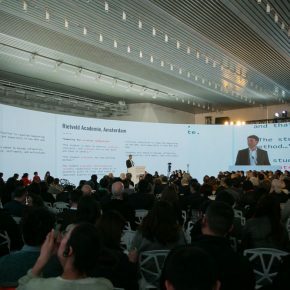 Rem Koolhaas, a well-known architect and professor at Harvard University, believes that art has now expanded to political and social fields, creating a complex situation. In the early 1990s, we faced the challenge of single polarization or dual polarization in the world. In today’s multipolar world, different countries are developing at different rates. Therefore, we cannot define a country with rigid thinking. Similarly, art education has become more academic. The key to today’s art education is how to integrate modernity into traditional cultures in a new era, so that the spiritual and cultural characteristics of traditional culture serve as a valuable teaching resource for the cultivation of contemporary artistic talent. In addition, the current world is in a new, historic stage of information revolution and technological development. The development of science and technology has provided both opportunities and challenges for art education, especially fine arts education. We are now experiencing the Fourth Industrial Revolution—a new technological revolution featuring artificial intelligence, clean energy technology, robotics, quantum information technology, virtual reality and biotechnology. Some people are anxious about the future of art. Indeed, technology has brought about lots of ambiguities and uncertainties to the boundary of art and future trends of art development. However, just as the value of oil paintings did not decrease with the invention of photography, art education will not devalue with the development of technology. Instead, it will certainly bring new development and methods to art education. Advanced technologies help us transform imagination into reality, and art education can in turn promote the development of science and technology. Therefore, art and technology actually complement each other. A few decades ago, Feng Zikai, a famous artist and educator in China, pointed out that “art education is different from an ‘art subject’. The art education is the general education, which should be incorporated into various art subjects and should not be separated from them. The ‘art subjects’, such as painting and music, are only one aspect of art education. The education of aesthetics and meaning of the art work should be as important as moral education. Art education should be integrated into various art subjects by all means.” The famous American art educator Eisner also put forward the idea of “disciplinary-based art education”, which has had a profound influence in the field of contemporary art education. This educational approach covers four areas: the productive, the historical, the critical, and the aesthetic—the core of this approach is the productive. Nonetheless, the other three areas are also indispensable components and have different functions. The development of all these components should be balanced in art education. 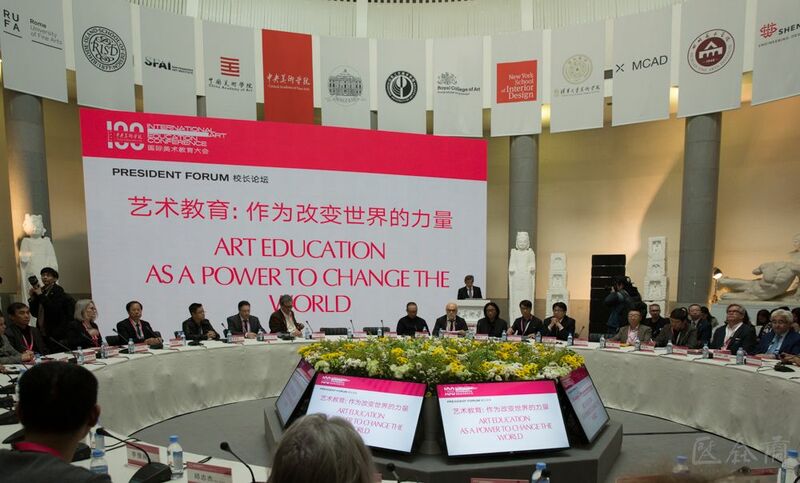 In the new era, art education around the world, including China, is facing new problems. We are now in a period of hyper-modernism which is characterized by multiple modernization. Art is increasingly influenced by social life, politics, culture, science and technology, etc. However, the language and curriculum of art education was developed in the last century and is outdated. 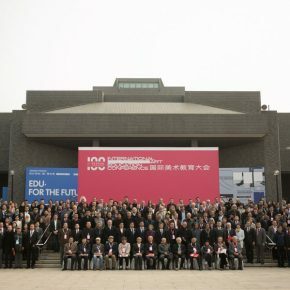 James Elkins, Professor from the School of the Art Institute of Chicago, believes that students from all over the world learning the four main categories of neoclassical art, romanticism, modernism Bauhaus and postmodernism will find these art categories are incompatible and even contradictory. There are more and more criteria and concepts for teachers to manage and evaluate art students, such as the concept of “creativity” and “reflection”, but there is an evident lack of good understanding of these concepts. For those who already have a bachelor’s or master’s degree in art, or even a Ph.D., they need to come up with a key definition to fill gaps in the existing art literature. 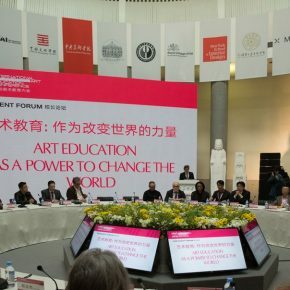 It can be concluded that there are some urgent issues to be solved in contemporary art education, that is, constructing a future-oriented discipline structure, transforming art education mode, cultivating new driving forces in traditional art education, and training creative talent in order to promote social development. Eras are constantly changing. We should not be narrow-minded and simply rely on what has been done in the past, nor should we just be satisfied with what we have achieved in history. 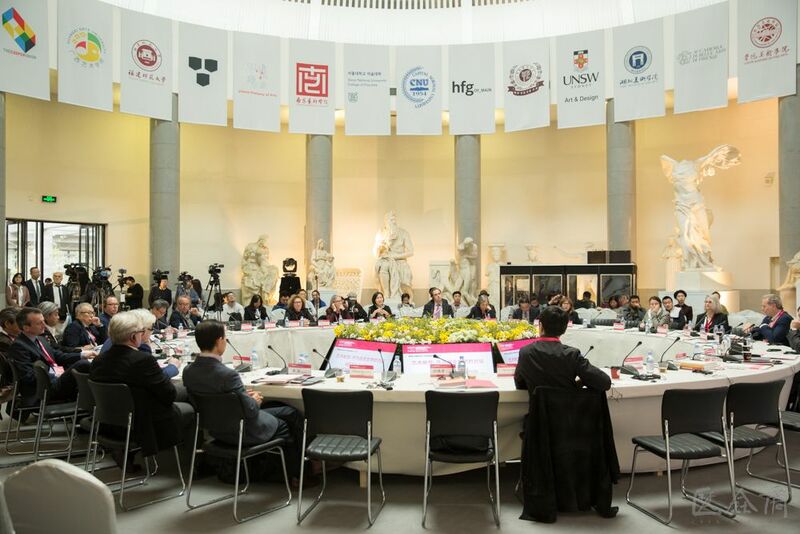 Long-standing and well-established art academies should inspire new momentum and empower innovation with time-honored art traditions, so as to keep these traditions alive. 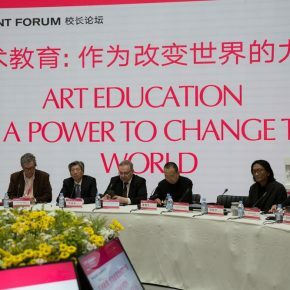 At the same time, the sharing of global information and resources, and the enormous impact of technological advancement on our daily lives profoundly impact on the trends in art education and expanding its boundaries. Both educators and learners need to redefine their work and style in such a dynamic process. For example, the Maryland Institute College of Art, founded in 1826, is one of the oldest art institutes in the United States, and one of the first institutes to grant art degrees. The president Samuel Hoi believes that the college should constantly innovate to meet future demands. 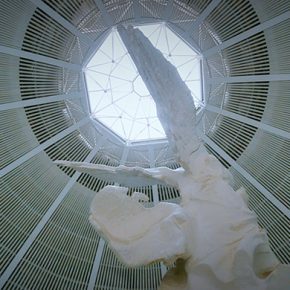 The Maryland Institute College of Art has integrated global understanding into the curriculum design in order to create a more open teaching and learning environment. Specifically, in the first year of the comprehensive art education program, the boundaries of academia have been blurred and, the students’ interactions with the outside world have increased. Not only teachers and students within the college, but also professionals in relevant industries are provided platforms to work and socialize with each other. In addition, the limited resources and expertise of the school are made full use of in order to serve the entire city, not just the college itself. Only by creating a solid foundation within the established educational framework can a multi-faceted link between art education and the outside world be made possible. 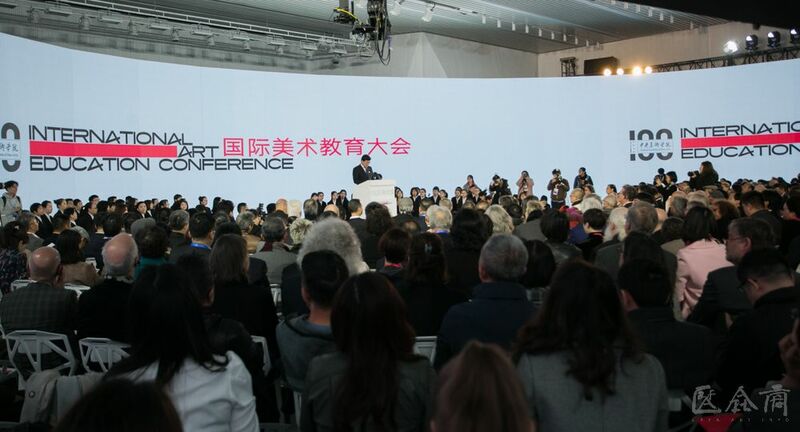 As the dean of the Central Academy of Fine Arts Fan Di’an said, human cultures and their respective knowledge systems are like long rivers, running independently in the past. In contrast, these two aspects today are only converging into a greater sea of cultures and attained knowledge. 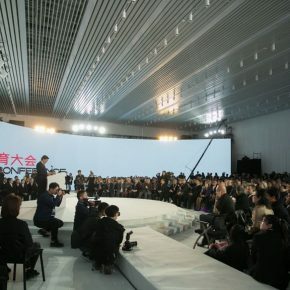 Therefore, the future development of art education should continue to move forward in the right direction, in this sea.